Vancity Noms: Pho Hong - An old favourite! 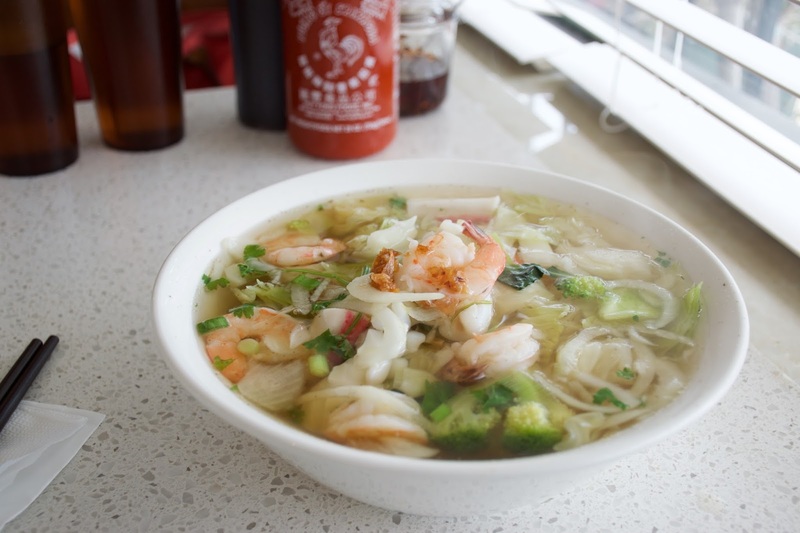 Pho Hong - An old favourite! 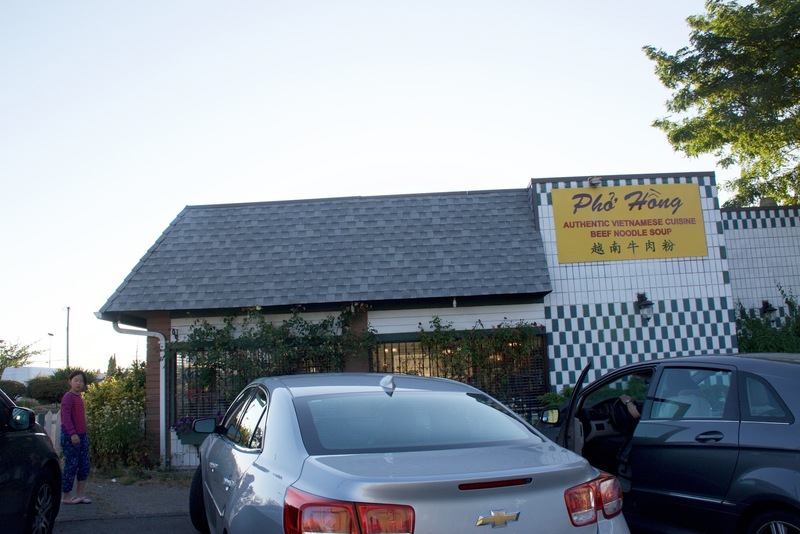 Pho Hong underwent some renovations last year so the place looks really spiffy now!! Their food quality has been pretty consistent over the years. 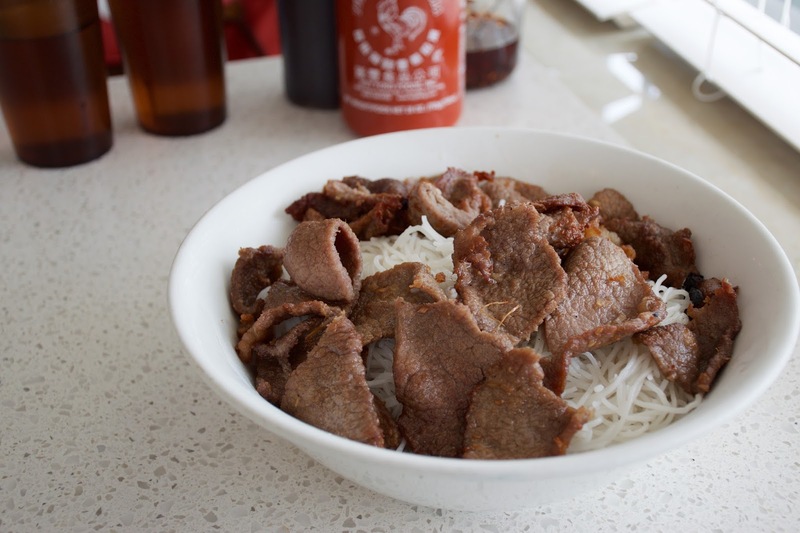 I decided to try something new this time so I got their lemongrass beef on vermicelli ~ I tried their chicken last time and wasn't a fan. Sad to say the beef wasn't much better...definitely stick with their pho! The lemongrass flavour was there but the beef was just really dry. I appreciated the fact that there was a generous amount of meat but the beef was just really hard to chew. It did have some charring to it though! There was a lot of vermicelli, which I was really happy about! It was bouncy and cooked al dente! No surprise here, my dad went with his usual #1 Pho combo, which comes with a spring roll! It had all your usual fixings: rare beef, tripe, tendon, meatballs, etc. The soup was nice and hot, no complaints here! My mom ordered the seafood noodle soup because she wanted to try something new as well. This was okay, it came with bits of shrimp, imitation crab and broccoli! The soup is a bit lighter than the pho soup!! 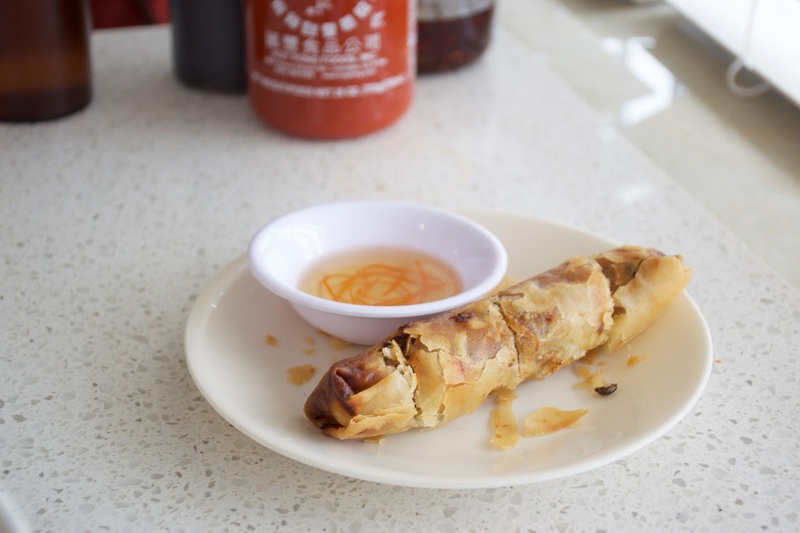 I like PH's spring rolls, but I prefer the ones made with rice wrappers!! This one is still pretty tasty: meaty & crunchy! 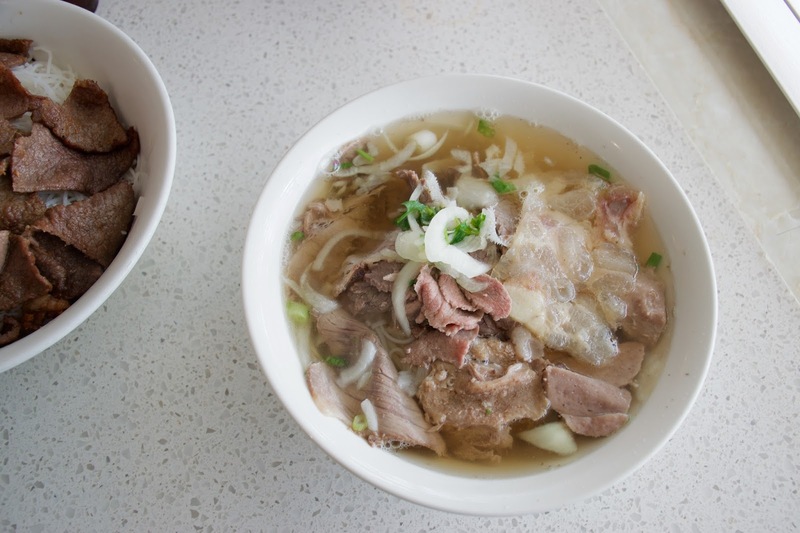 Make sure to get the TBN and dac biet pho ..... best of both worlds ! I went to this place last week and the pho is average at best. They used to be better but now is off my list of decent pho joints. Corner 23 - 2nd Visit! Sushi California - 2nd Visit!